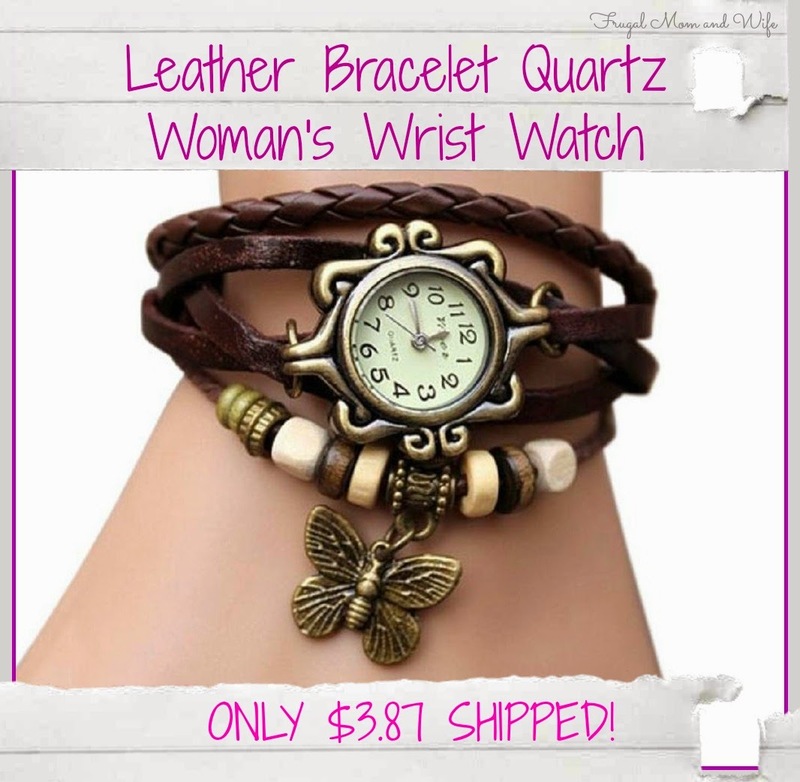 Frugal Mom and Wife: Leather Bracelet Quartz Woman's Wrist Watch ONLY $3.87 SHIPPED! Leather Bracelet Quartz Woman's Wrist Watch ONLY $3.87 SHIPPED! Simply follow the link below to score this sweet deal. This trendy leather bracelet includes a handcrafted Quartz watch and accent charms. Normally $15.89, right now you can get this bracelet for ONLY $3.87 SHIPPED! Great for teacher gifts, family and friends gifts and such a great price you can even feel guilt free getting this beautiful piece for yourself.